The audience is primarily agents and brokers, the best and brightest in the industry. Many will be from the local area but we also have attendees coming in from all over. Here is a breakdown of our attendees from previous events. How can the audience use the information to help their business/What are the real world takeaways? DO provide at least 1 takeaway about your topic that the audience members can apply to their own businesses. For example, “Go out and do X, Y and Z. This is how.” Sometimes wrapping up with takeaways is the way to go. We are asking moderators to end every panel with that question, so be ready. DON’T play it safe or take yourself too seriously. Enjoy yourself, have fun, be vulnerable. Connect is about candid conversation, things people can relate to. DON’T try to provide too much information. Have a couple key messages to deliver (or even just one excellent point), and prepare and practice those messages. DO give anecdotal information and tell personal stories. Offer research with specific metrics; or recommend specific books, Websites, apps or articles. DON’T use the Connect stage as an opportunity to advertise your business or deliver a commercial message. Talking through your company experience is one thing, waxing poetic about how great you, your company or your product is, is unacceptable. Plus, those who have made that mistake lose all credibility with our audience. DO prepare and practice. This not only includes research and note-taking, but also taking the time to connect with your moderator before hand, so you know what to expect. DON’T look at the screens. Doing this pulls your head away from the mic. DO eat something with sugar 15 minutes before you go on, to give you a little energy kick. DO smile and enjoy yourself. This is an opportunity not torture! If you are standing, right or left foot forward, smile and talk to the audience. If you are sitting, lean forward, sit up straight and talk to the audience. If you are holding a mic, don’t let it drift more than six inches from your mouth. Try to smile as much as you can on stage. Smiling doesn’t just make the audience feel better about you but actually makes you feel better about yourself and you are more confident. If you are not nervous, you are not human. As Brad, who has been a public speaker for 30 years, often says, “The day I am not nervous when I go up on stage, is the day I stop public speaking.” His point is that nervousness gives you the energy that helps you project who you are, so embrace the nerves! Also, people in the audience won’t even notice the butterflies in your tummy or the sweat on your palms. To channel that nervous energy in a positive way, right before you go on stage, think of something good that happened to you recently: a hole in one, a good night out with friends, a hug from your child or grandchild, or that perfect cup of coffee, beer or glass of wine. You might also arrange to have a friend or family member send you a text right before you go on, telling you something funny or just a simple reminder that “you will be awesome.” A little extra confidence booster works wonders. This is not Discovery’s Naked and Afraid TV Show. Wear whatever you want on stage: Baroni suit, flip flops, Hawaiian shirt, starched blue oxford shirt. Wear what makes you most comfortable. There is no dress code. A button down shirt does help, so that we can place a lav mic in the best position possible. If we have to put a mic on a collar, all it takes is for a presenter to look the other way while speaking, and we lose them. You may be sitting on a stool so keep that in mind, your shoes show off and sometimes skirts can be a problem, but that is your call. Go Ahead, Try a Chris Farley. If you decide to walk off stage, FYI, the audio setup may be compromised and we will not capture your pretty face on video. But on stage, walk all over the place if that makes you comfortable. Even panelists can jump up and walk around to make a point. We will not judge you for this sudden outburst of energy. Passion baby, we love it, and so does our audience. Warning: do something out of character (remember be yourself) and you may look a tad awkward or silly. But that’s OK too, we love when people get out of their comfort zone. We are your lab. We’re Here to Help. If you need something, or you need to go back a slide, just ask—yes ask—right into your mic. The audience will love you for asking for help, that is human and makes you vulnerable and likeable. Then be patient and give us a couple of seconds to respond. The Stage is Bright. Sorry, there is nothing we can do about that if you want us to be able to capture camera footage. You Will Be Great. Remember, you will be great on stage. You know your stuff, that is why we invited you. Just be yourself and have fun. We are covering your back every minute of the way. Must I really be there 30 minutes before the session? Yes. Will I get questions ahead of time? In some cases you will, and often you will not. This way your answers are not scripted, unnatural and unconvincing. Rest assured the moderator will stay on subject and only ask you questions that you are qualified to answer. Where can I get a cocktail afterwards? We’ll take care of it, just let us know what you’d like. Can I call in sick? No. How do I look? GREAT! How did I do? GREAT! Not long ago, Brad gave his entire speech before 1800 people with his zipper down. The only person who noticed was Brad. One speaker got on stage froze up and forgot his name. The moderator saved him and he was one of the most well-liked speakers ever. Humanity is wonderful. A few years ago, two of the panelists got into a nasty debate, awkwardly personal and ugly. No winners that morning. Four years ago in New York, the conference got hit by a blizzard and almost half of the speakers canceled, but it was ranked one of our best conferences ever as pinch hitters stepped up and were awesome. One speaker broke one of her shoe heels when she walked onto the stage. She took off her shoes and gave a killer presentation in her stocking feet. A speaker once got in a ski accident two weeks before Connect: he showed up for his speech in crutches and waved them around to make his points. Here are two presentations from past Inman Connect Conferences that demonstrate how tapping into your emotions and showing your passion, along with bringing an infectious amount of energy on stage results in valuable and memorable moments for our audience. 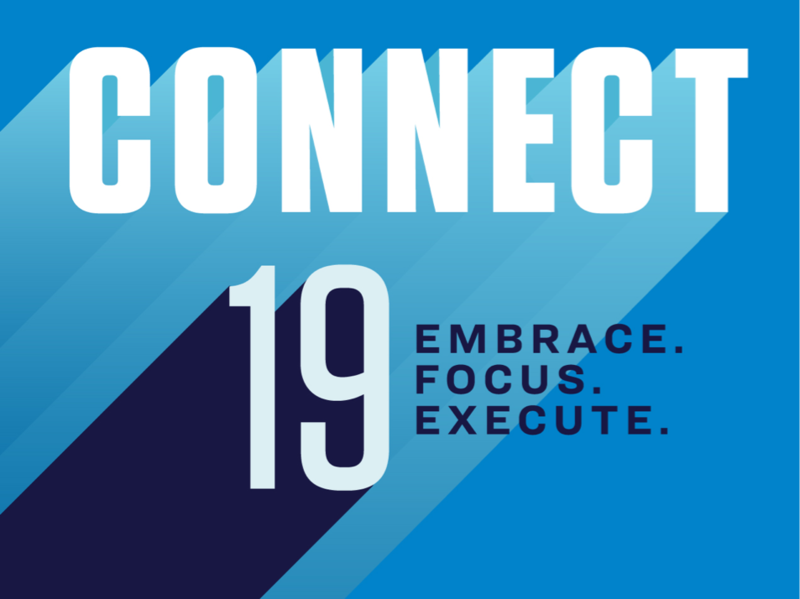 We can’t wait to see you at Connect 2019!